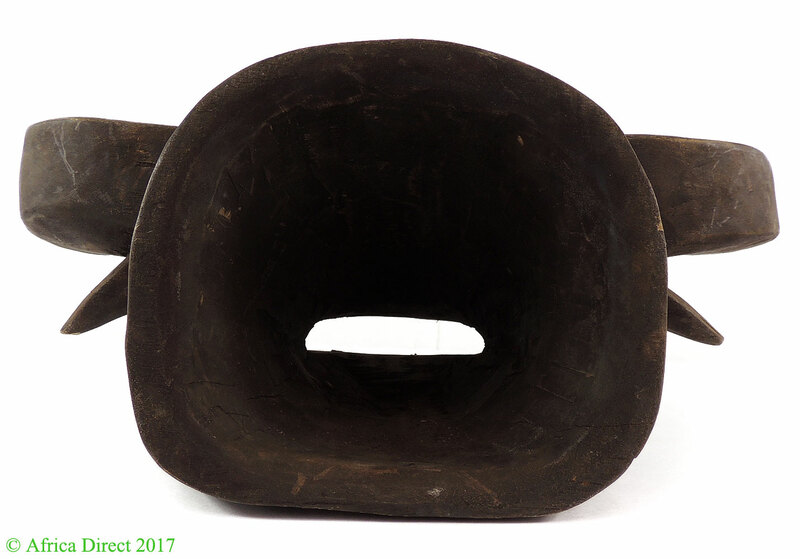 Additional Information: Numbering more than 200, 000 the Tabwa were noted as early as the 19th century and today live along Lake Tanganyika. 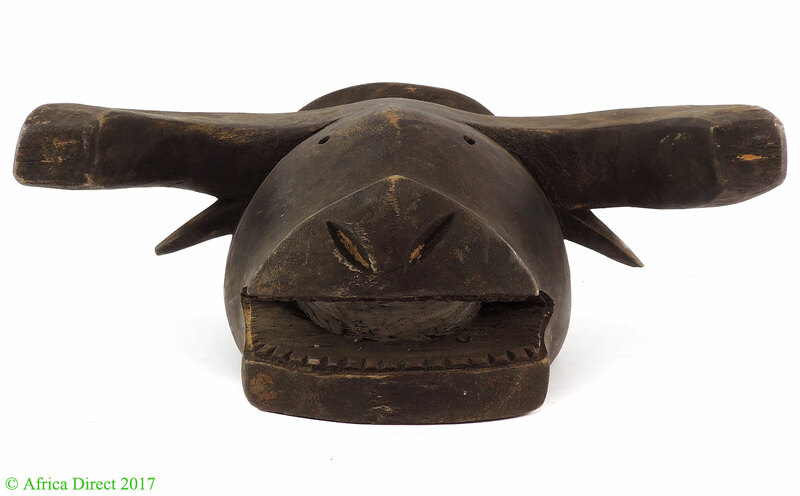 This mask portrays a male wild buffalo called ‘kiyunde’ and appears wearing a costume composed of animal skins and grasses. It dances with a companion mask depicting a female. 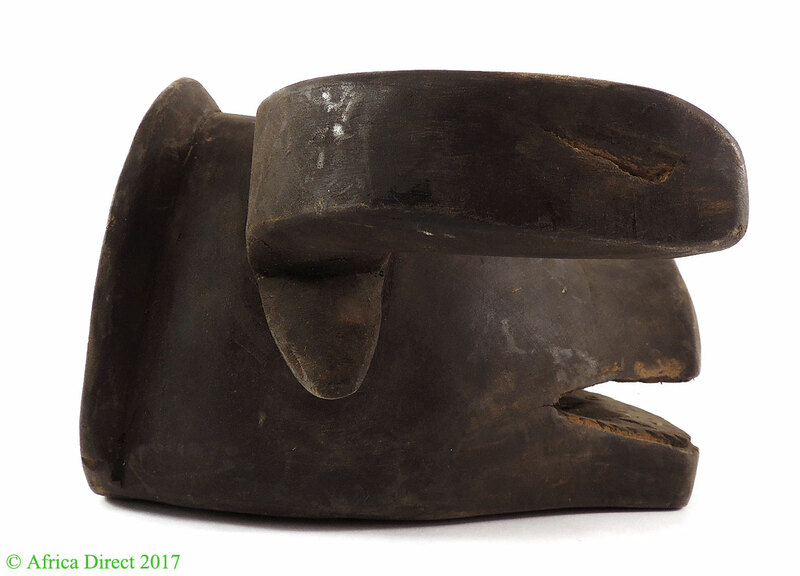 The Tabwa identify wild buffalo with their strength and behavior with chiefs and their culture heroes. The name buffalo is also given to the circumcised boys. 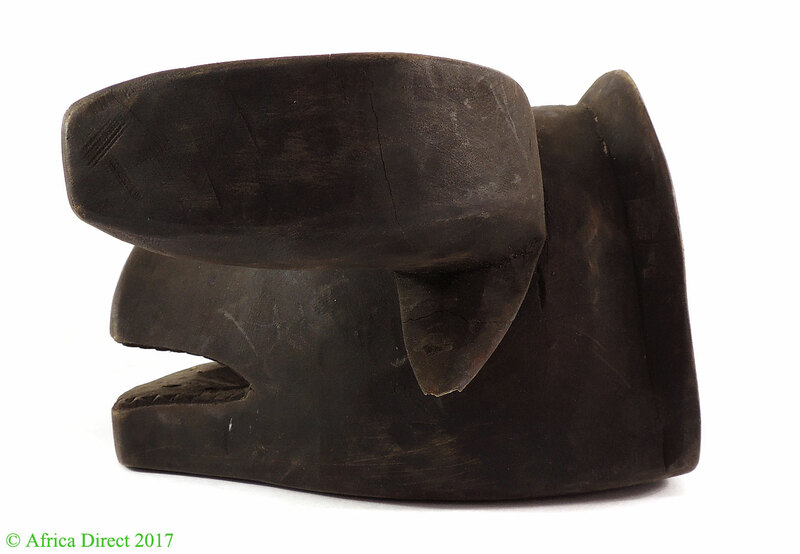 Tacks worked onto the face of the mask in elaborate and attractive scarification patterns and designs represent the Tabwa concept of ‘kulemba’ that reflect aesthetic, social membership and the abstract idea of order upon the chaos of nature. For similar example and further Information see Constantjin Petridis & Franck Herreman (eds.) FACE OF THE SPIRITS. 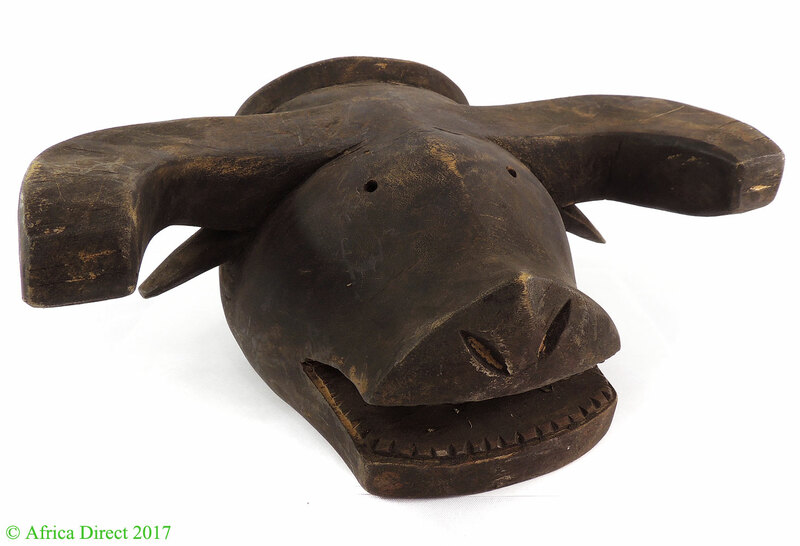 MASKS FROM THE ZAIRE BASIN, fig. 81, p.168.